As a true real estate professional, Jill Bregy’s extensive training, experience and network of contacts is at her client’s disposal. Jill earned her real estate license in 1986 and since then has been a nationally recognized top producer. 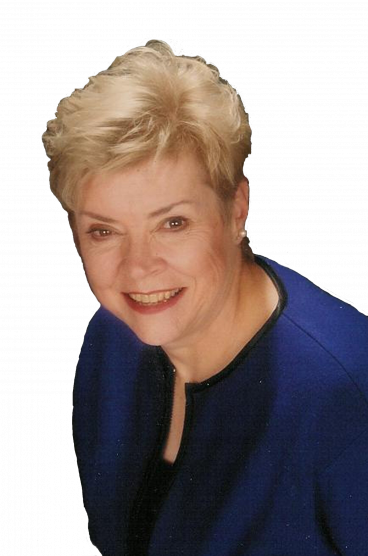 She has served on the Board of Directors of the Norwalk Board of Realtors, the Mid Fairfield Association of Realtors; and currently serves on the Greater Fairfield Board of Realtors Professional Standards Committee. Real Estate Designations CIPS—Certified International Property Specialist (1500 Worldwide) CRS—Certified Residential Specialist (less than 4% of all Realtors) GRI-Graduate Realtor Institute (20% Nationally) ABR-Accredited Buyer Representative (3% Nationally) PSCS-Professional Standards Certified (1% of CT Realtors) Professional Affiliations National Association of Realtors Connecticut Association of Realtors Greater Fairfield Board of Realtors CT Statewide MLS Consolidated MLS FIABCI– International Real Estate Federation Awards and Recognition Chairman’s Circle Award Winner– Top 3% Nationally in Prudential Network President’s Circle Award Winner—Top 8% Nationally in Prudential Network Leading Edge Society Award Winner-Top 14% Nationally in Prudential Network Honor Society Award Winner Since joining William Pitt Sotheby’s International Realty, 3/1/2012, awarded Platinum Status. Community Involvement American Kennel Club licensed judge Internationally recognized Judge and Lecturer on Irish Wolfhounds Former Board of Directors of the Irish Wolfhound Club of America and Education Chairman Successfully worked on getting legislation passed at the State level Wrote “The Illustrated Study of the Irish Wolfhound” Completed a video on Movement on the Irish Wolfhound Charter Member Executive Women’s Golf Association. To a former manager:…”As you know, Jill Bregy handled the sale of my Mom’s property in Greens Farms. I wanted to let you know that I have never had a better experience buying or selling a house. Jill went so far beyond what any agent would be expected to do…She was so organized and aggressive in following up every single detail of the transaction. She kept in contact with me at every turn of the process….” Tony M.
To a former manager:…. “Jill has been my parent’s Realtor for years. She has overseen all of the repairs that needed to made. She has done more than most close friends would have to assist both my Mother and myself. Jill is a treasure. I cannot say enough about how wonderful she has been…I hope you realize what an asset she is to your company…. From an attorney:…”I write to you in praise of one of your agents, Jill Bregy, who overwhelmingly deserves kudos on a job superbly done regarding closing issues…I have rarely encountered an agent with such resolve and follow through regarding complex closing issues….It has been my distinct pleasure to work with Jill…. ..”We couldn’t have selected a better person to work with or to represent us – for all of this, a million thinks….